Milan is a must-see weekend break destination, this is a city of contrasts, it has a modern outlook and leads the world with the latest fashion designs all set around ancient architecture and a history stretching back over two millennia. 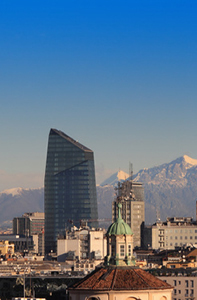 The city's reputation for fine food, football and fashion all combine to make Milan a great choice for a short break. Visitors can sample traditional Italian food at La Latteria, check out the multitude of bars and clubs in the Colonne di San Lorenzo area or visit beautiful Lake Como only a 40 minute ride away. If you would like to give your credit card an outing or just enjoy window shopping then stylish Milan is just the place, this top mini break destination is a designer shoppers heaven, here you can discover the complete who's who of the fashion world. Every top designer can be found around the Via Montenapoleone from Armani, Dolce & Gabbana, Gucci and Louis Vuitton to Prada, Valentino and Versace. Fashion aside, a short weekend break in Milan is not complete without a visit to The Duomo, the world's second largest gothic church, La Scala opera house and the 14th Castello Sforzesco, a castle complete with an art gallery. Milan city breaks are perfect for connoisseurs of style; from incredible fashion and world class galleries to classic cuisine and Leonardo Da Vinci landmarks. Football fans can visit the San Siro, the city's world famous football stadium, home to two of Europe's most iconic soccer teams, Inter Milan and AC Milan. 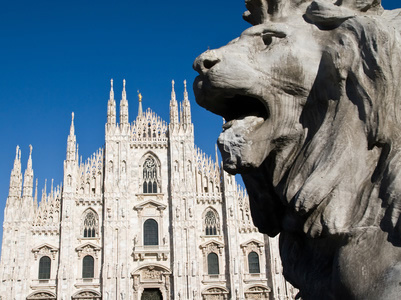 City breaks to Milan are popular all year round. If you are looking for a cheap weekend in Milan there is plenty of reasonably priced accommodation and inexpensive. Alternatively if you are looking to pamper yourself with a luxury weekend in Milan, the city has a wide choice of 4 and 5 star hotels located both in the city centre and on the outskirts.